Success Story: Got A Miraculous Outcome For My Teeth! 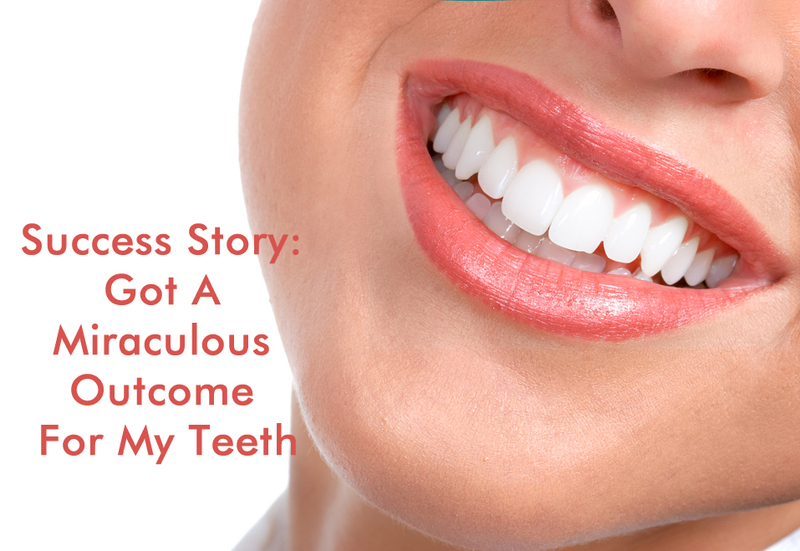 Today’s success story shows how the author used the law of attraction to get her very expensive dental treatment done. Hello everyone reading this! Thank you so much to the team of The Secret and mostly to every single person that took the time to post their story in here. Thanks to your stories I have stayed motivated and inspired to continue believing and to surpass the hard moments life has thrown at me. To get to the point, I have always had problems with my teeth. I have had several root canal treatments which each needed a crown for protection. Since I “couldn’t afford it” I did not do the crowns. I say it like that because that was my belief back then and it is different now. So because I did not get the crowns I cracked my tooth in half which forced my dentist to remove it completely. Now I needed an implant and is was the second tooth I lost because of the same reason. Dentists are very expensive in Canada and since I am a student, it can get kind of tricky to run with all those payments. I was so sad about it and so nervous it would happen again. I decided to call for divine assistance. I finally said, God please, mother earth, life, Universe, help me. I need you so much right now, please open the way so that my teeth can be cared for and treated perfectly. Please take over my financial situation. Thank you. I kid you not, OMG! A couple of months passed and I kept believing with a little doubt that everything was gonna be ok and boom! My income tax return was giving me back $4000! So, each crown costs around $1600. I would barely have enough to do the 3 I needed and all money would be used for it. Still I was super grateful and happy. Then I talked to a friend of my mom and she told me it is better to go back to my country of birth, Peru, to do my treatments since it would be way cheaper. However, I was still in doubt because the tickets are usually $1300 plus and that was too much money for 2 weeks. Since I really had no other choice I called someone I know in Peru who is a Dentist. She said she would charge me $300 for 3 crowns, LOL!! I needed other work too but all my treatments would cost me less than $600. So I went to check online and OMG, again! The tickets were now only $389 round trip!!! I could not believe it, I clicked and clicked again and got the same price! The next day I went to tell my boss at work that I had to travel urgently for health treatments. He told me to give him time to see if it was possible. I did not wait and bought the ticket. After 1 hour he said it was OK to leave on those dates. Now, it gets even crazier. I was worried because I would not get payed for those 2 weeks since I am part-time. So I said, God you have taken care of every detail so far and I trust you. Thank you so much for taking care of me. Dude!!!!!! The next day my boss comes to see me and he is like, Maria, I think you have accumulated 6 vacation days which equals the amount of hours I do per 2 weeks. I could leave and still get payed as if I worked. Wow! Wait for it! And guess what? The dates I was forced to choose to get the low fare on the flight ticket coincided with the day after I finish my final exams and I come back by the time the new semester starts so I won’t be missing any classes!! The person who is gonna take care of my teeth leaves to USA the day after I leave back to Canada! What are the chances of such a perfect timing?! I could keep going on and on with the rampage of things that have been happening nonstop after I decided to ask for divine intervention in each and every single one of my situations. However, I will stop here for now. From now on I will not doubt ever again. This to me was the biggest miracle. Even though I have many others, this one really marked me. I hope you liked my story and don’t forget to call forth divine intervention in all your matters, whether big or small. Also learn to have faith that you deserve to receive help, get gifts and to be cared for. About the Author: I am a student in software engineering and have been studying law of attraction for couple of years now.